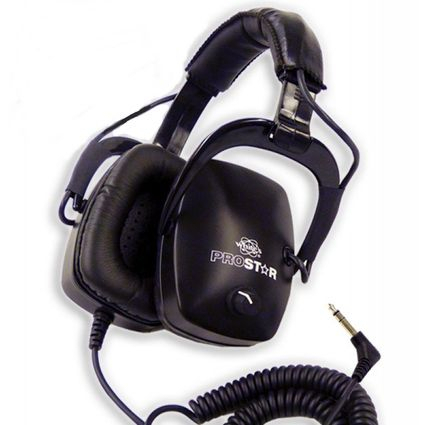 A premium headphone “Made in the USA” by White’s specifically for our metal detectors. Lifetime Warranty. Rugged, oversized earcups. Water-resistant chassis. 50 OHM Mylar Speakers with Titanium Coating. 5k Audio Taper with R/L ratcheting volume controls. Soft, coiled cord stretches to over 6 feet. Works with mixed-mode audio.